Lithium Ion Batteries vs Lead Acid batteries? Lead acid batteries still play a very important role in energy storage and are certainly not a redundant technology. But there are a number of reasons why you would choose Lithium Ion batteries over Lead Acid batteries. Lithium Ion batteries are very efficient (almost 100%) in both charge and discharge. In comparison, Lead Acid batteries are only about 85% efficient in each cycle. Lithium Ion cells provide a much longer cycle life at deeper depths of discharge. For example, good quality Lithium Ion cells can provide over 8000 cycles at 80% Depth Of Discharge (DOD) versus 400-500 cycles to a similar DOD in good quality Lead Acid batteries. Lithium Ion batteries provide a more stable voltage while discharging unlike the terminal voltage of Lead Acid batteries which drops significantly as they discharge. A much higher energy density is a primary feature of Lithium Ion batteries which means they weigh significantly less than an equivalent usable capacity of Lead Acid batteries. An astute buyer could also calculate the price of a Lithium battery in contrast to a Lead Acid battery over time and find a long term setup would clearly favour the former due to the extended lifetime and performance. Why Choose ELMOFO E-Cells Lithium Modules over other Lithium options? 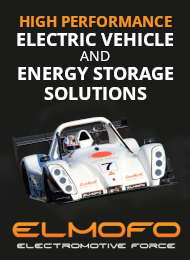 ELMOFO Lithium battery module technology was originally developed, in conjunction with AM Racing, to provide high-performance power for the ELMOFO Electric Radical race car - the first electric vehicle to win a sanctioned circuit race against petrol powered equivalent race cars. In this race car test bed, ELMOFO Lithium modules were pushed to their limits and beyond to ensure safety in all scenarios. 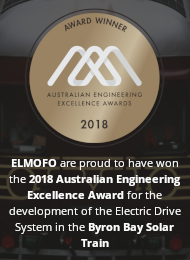 The E-Cell range of ELMOFO Lithium batteries are designed and assembled in Australia with only the highest quality components and materials for demanding applications in Australian conditions and have been rigorously tested and refined to produce one of the most energy dense (134 Wh/kg) storage systems available today. An ELMOFO E-Cell Lithium battery module employs Kokam's high quality Lithium cell technology along with an advanced Battery Management System, all in a high quality CNC machined protective housing to ensure high-performance, serviceability and longevity. Unlike most other commercially available Lithium module options, ELMOFO E-Cells are capable of very high discharge meaning higher peak load requirements can be serviced with less installed capacity. All ELMOFO E-Cell modules are carefully hand-assembled and performance tested. 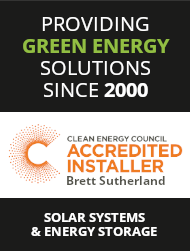 Unlike most others, E-Cell modules are completely serviceable. In the unlikely event of a component failure, cells or components can be removed or replaced. Most other manufacturers employ cell tab welding which can make their modules throw-away items should a non-warrantable failure occur. You can be sure that an ELMOFO E-Cell battery will play its role as a reliable and high performing power source over the course of your application's lifetime.